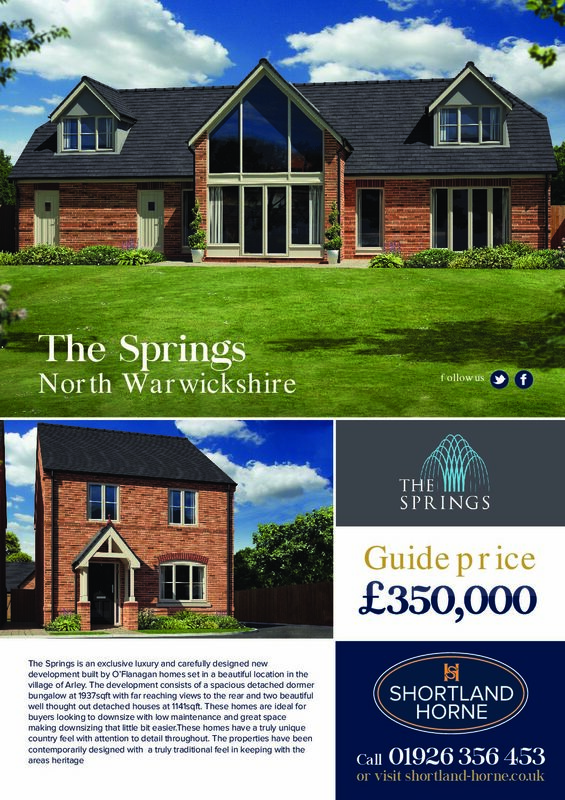 The Springs is an exclusive luxury and carefully designed new development built by O’Flanagan homes set in a beautiful location in the village of Arley. The development consists of a spacious detached dormer bungalow at 1937sqft with far reaching views to the rear and two beautiful well thought out detached houses at 1141sqft. These homes are ideal for buyers looking to downsize with low maintenance and great space making downsizing that little bit easier.These homes have a truly unique country feel with attention to detail throughout. The properties have been contemporarily designed with a truly traditional feel in keeping with the areas heritage.